A new beetle with a Valentine-shaped joint on its leg only seems to think about mating. Valentine's Day is every day for a newly discovered group of beetles whose members sport a prominent "heart" on their legs. The heart is actually a trochanter, a joint or leg segment that helps connect the upper leg to the abdomen. 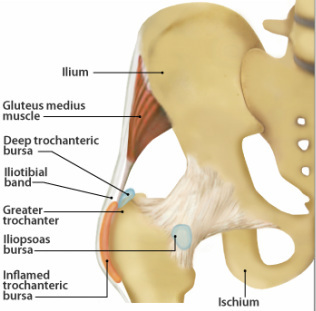 Humans also have a part called the "greater trochanter," only not in such a fancy shape. The beetles, described in a new study in the journal Acta Entomologica, have another connection to Valentine's Day. They only seem to think about one thing: mating. "All of the specimens so far have been male. We have yet to see a female," lead author Max Barclay said in a press release. "Its closest relatives are parasites developing inside other insects. We don't yet know what its heart-shaped joint is used for, but we do know that the males don't even have a functional mouth to eat, so their only purpose is to search for mates. They certainly have a one-track mind." Barclay is the beetle collections manager at London's National History Museum, which houses specimens representing more than half of the known beetle species on Earth, making it the largest and most comprehensive collection of its kind in the world. Barclay is, therefore, arguably the planet's foremost beetle expert. While examining a batch of several thousand mixed insects collected during a field trip to Central America, Barclay spotted the unusual beetles. He knew they were extraordinary when he spotted the prominent heart-shaped joints. More research determined that the beetles represent a new genus, named Ivierhipidius, whose members live in a Belize rainforest. "There are more than 400,000 known beetle species. They are the largest group of organisms on the planet, playing a critical role in ecosystems," Barclay said. "One in five of living creatures is a beetle," Barclay added, "and we are still uncovering new species today, even some with new modifications of body parts that disclose more about their evolution and way of life." The “love bug” beetle from the new genus Ivierhipidius has a decidedly romantic shape to its leg.